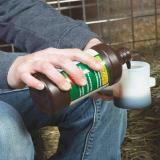 Navel cups enable treatment of navels with less mess and waste—so the disinfectant ends up on the lamb's navel and not on you! 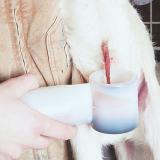 A built-in clip allows the cup to hang onto the side of jugs so it's easier to find in a barn. 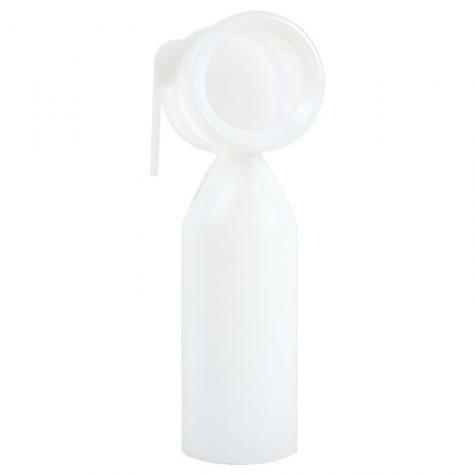 Small neck reduces evaporation. No lid to unscrew, drop and misplace. How much Triodine-7 is needed? Enough to cover the entire cord. 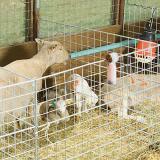 We cover up to 200 lambs per bottle. Cost in time and $$ is little when compared to benefits. Before using the navel cup, clip the navel short so it doesn’t drag on the ground or risk mother stepping on it. 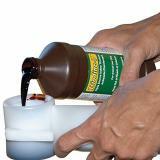 Lessens the chance for bacteria to enter. This saves me a lot of iodine because it doesn’t spill. It is also super easy to dip lambs in it because it’s so wide. It hangs on the fence so it’s always available. It’s a bit of a pain to wash but is doable. We tried the navel cup this year on our Kiko kids (and one Boki kid!) and found it too big and cumbersome - we spilled iodine on both the kids and ourselves! As a previous reviewer said, it is a more suitable size for calves. We are going to go back to what we used in the past: a 35mm film canister - it actually works just fine! As the others have said, a cap and smaller size would make it perfect. I was surprised to see that this is basically the same cup that is sold in my local farm store for calves. I would still recommend it though, as there don't seem to be any alternatives.